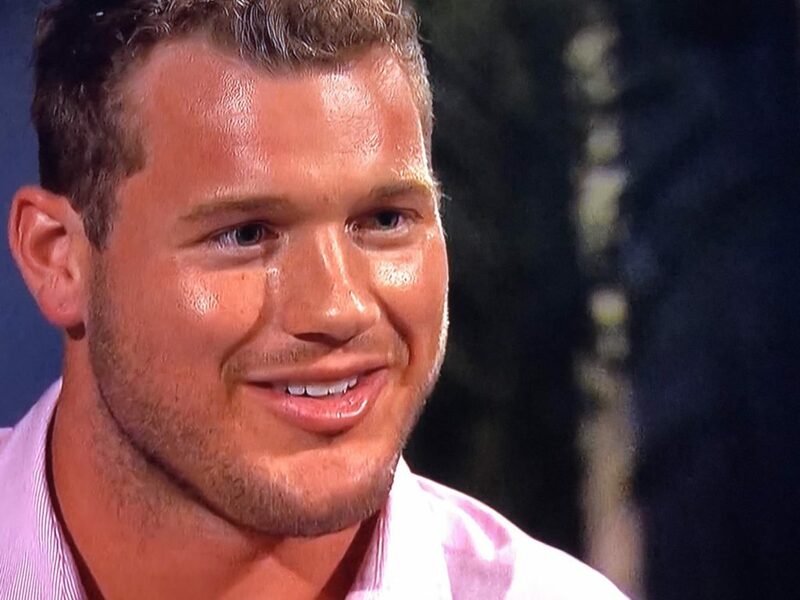 We’ll get to The Bachelorette recap in just one second, but I have a quick P.S.A. for everybody! 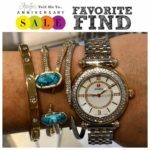 Nordstrom Anniversary Sale: Almost Go Time! If you’re new around here or if you only come around for these recaps, take a second to hop over to my Nordstrom Anniversary Sale page where I’m giving you the run down of everything you need to know about the sale. If you’re a cardholder, you can START SHOPPING THE DEALS RIGHT HERE BRIGHT AND EARLY THURSDAY MORNING at 5:00 am CST! I hope to see you back here first thing in the morning! Here’s something else you need to know. I have early EARLY access, and I’m actually shopping the sale today! I will have a full post up tomorrow with my favorite picks so far, with pictures of me actually wearing the clothes and giving fit tips. Hi, my name is Sheaffer, and I’m going to be your Nordstrom Annivesary Sale tour guide. My absolute favorite finds, the best of the best, will get this graphic to make them easy to spot. I’m really excited about certain things I’ve seen already (I’m looking at you Vince Camuto booties, Adidas sneakers, and AG jeans). And although they weren’t in the catalog, there are tons of great tops, cardigan, and denim options this year. Some of the brands have even sent me some sale items that I’m LOVING, and I’m so excited to share them with y’all! And I’m obviously keeping my fingers crossed for some of our core favorites from previous years, like a new style of blardigan, some Zella high waist leggings, the bliss undies, and a great Natori bra. I love picking up my tried and true basics for a steal! Start carb loading right now ladies. We’ve got a big day tomorrow! 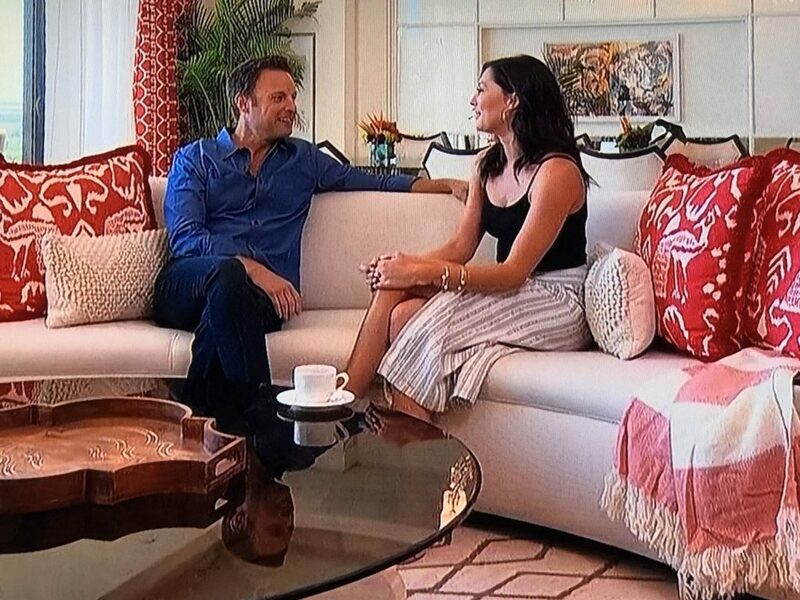 Becca sat down with our steely eyed host in a gorgeous penthouse overlooking the ocean and talked with him about how she is hoping for a drama free week (has she seen the show? ), how she can definitely see herself falling in love, and that she fully believes she will end up engaged at the end of all this. Blah, Blah, Blah. All I could think about was how much I wanted her luminous skin and those pillows. I love a good throw pillow. I can hardly believe that we are already down to 6 guys! And after tonight we’ll be down to 4! This is the final elimination before hometowns…and you know that hometown dates are MY FAVORITE. I love getting to see everybody in their natural habitats! Ha! Let’s quickly recall some favorite hometown’s from yesteryear: *Remember how Kendall the taxidermy girl had everything stuffed but her immediate family members, AND THEY HAD A STUFFED MOUSE WEDDING? 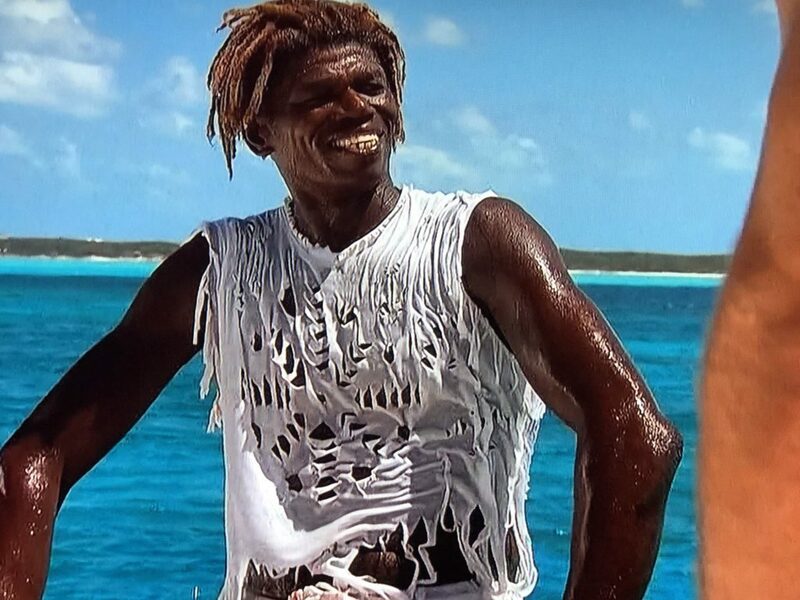 #goodtimes *What about Desire’s brother who seemed certifiable? 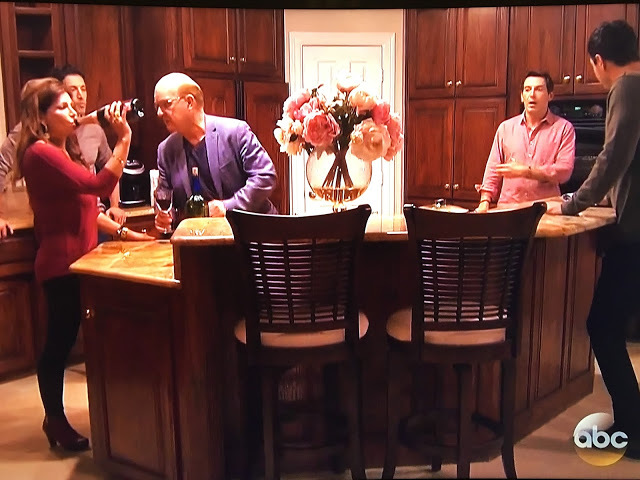 *And let’s fondly recall JoJo’s mom drinking straight out of the wine bottle. Ahhh, the memories. Look at the dad trying to gently coax her to PUT THE BOTTLE DOWN, DEAR. The first 1:1 was with Colton! As Becca and Colton walked out the door, the guys immediately started speculating about how Becca was going to handle Colton’s big secret once he let the cat out of the bag. WHAT? A BIG SECRET? IS HE A DRUG LORD BACK HOME? HAS COLTON DONE HARD TIME FOR SOMETHING? WAS IT SOMETHING ABOUT TIA? DID THEY HAVE A LOVE CHILD? TELL ME! TELL ME NOW! WHAT IS THIS SECRET?!? And then they made it clear that the big secret they were talking about was the fact that Colton is a virgin. I don’t feel like this should be a negative thing AT ALL. I don’t know if you are familiar with these statistics or not, but it has been proven that 10/10 people have in fact been a virgin at some point in their life. So, let’s all calm down about this whole virgin thing. I mean, it’s not that big of a deal. Some might even say he should get BONUS POINTS for this! They hopped on a catamaran and looked like they should be on the cover of a freaking romance novel. 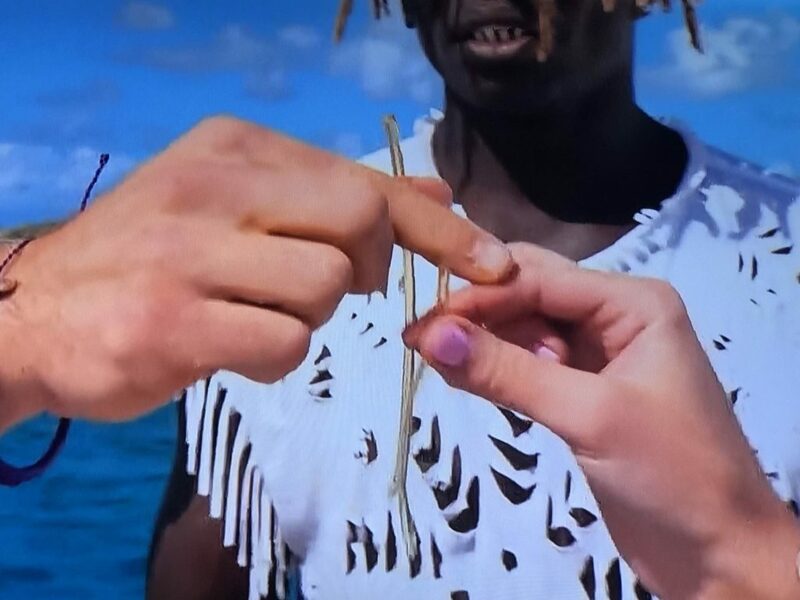 Colton was just about to talk to her about his decision to save himself when an island man complete with dreads and a torn up tank and matching shorts pulled up in a boat and told them they needed some conch. To be clear…According to Webster, a CONCH is a tropical marine mollusk with a spiral shell that may bear long projections and have a flared lip. Our friend explained that the pistol of the conch (look at it! ew!) was an aphrodisiac “So you can please her and not tease her.” Um, okay then. I’m thinking our boy wouldn’t need any help. He’s been preparing for this moment his whole life. HOWEVER. I then became seriously confused when he explained that he had been just focusing on his career. HUH? I mean, that can’t be the real reason, right? Was he trying to say that he just hadn’t done The Big Wiggle yet simply because he didn’t have time? That’s just dumb. Own your virginity AND the reason behind your decision, Colton! Don’t try to act like you just couldn’t find time in your schedule because of all of the of 2 a Days. 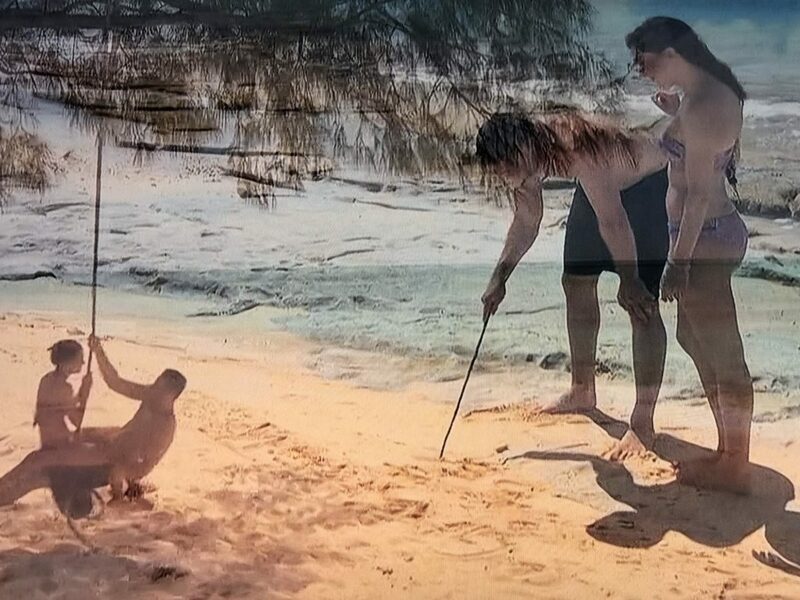 Becca seemed more than a little surprised at Colton’s admission. I mean, just earlier that day she declared him a “bronzed god” and mentioned that he could “do anything he wanted to her”. She politely thanked Colton for telling her, but then she asked to be excused for a minute. Just for fun, let’s turn the tables for a bit. 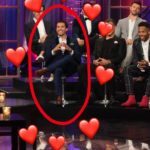 If this was The Bachelor, and a guy got up to have a moment after a girl shared that she was a virgin, Bachelor Nation would be UP IN ARMS. 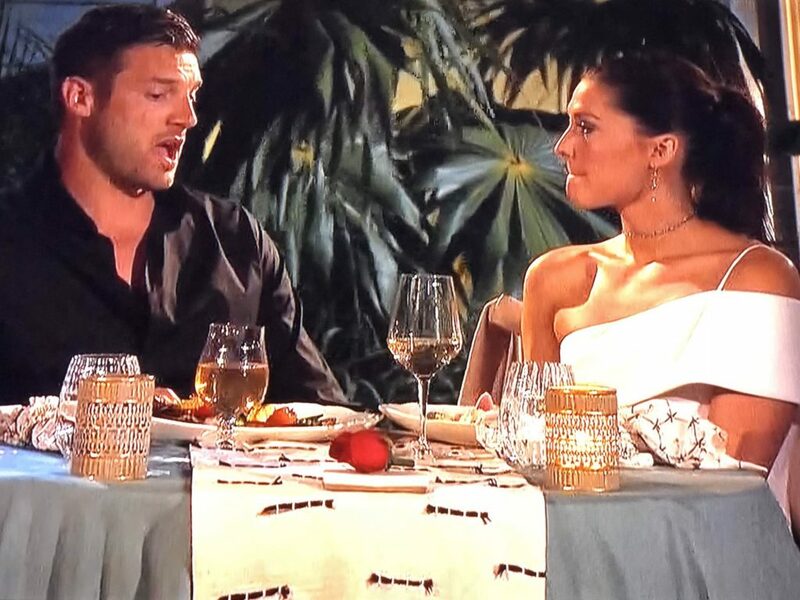 I have to believe that the producers called her away from the table, because I just don’t think Becca would have handled this “situation” in this manner. I mean, a guy she realllllllllly likes just told her something very personal. I don’t think she would just get up from the table on her own to leave him in full on panic mode. The next 1:1 was with Garrett. 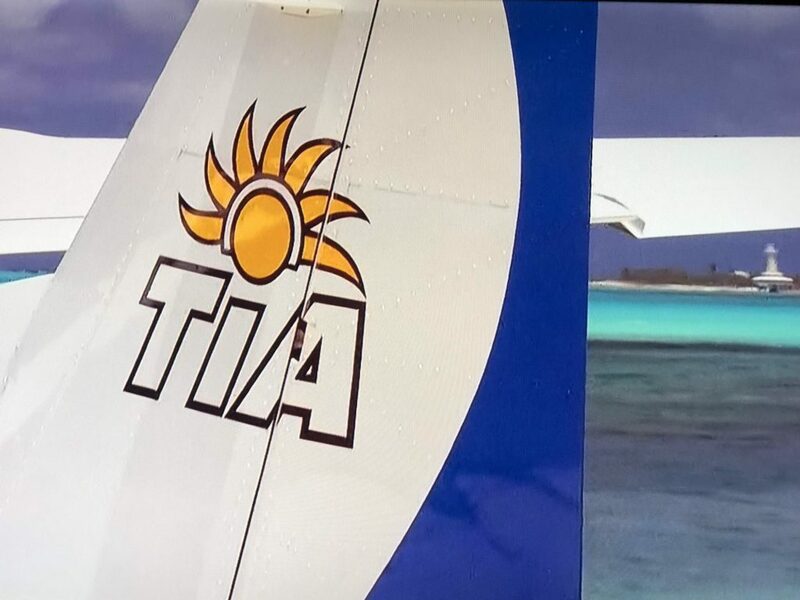 They boarded a Tia Air puddle jumper and I felt like this was a missed opportunity by the producers, right? 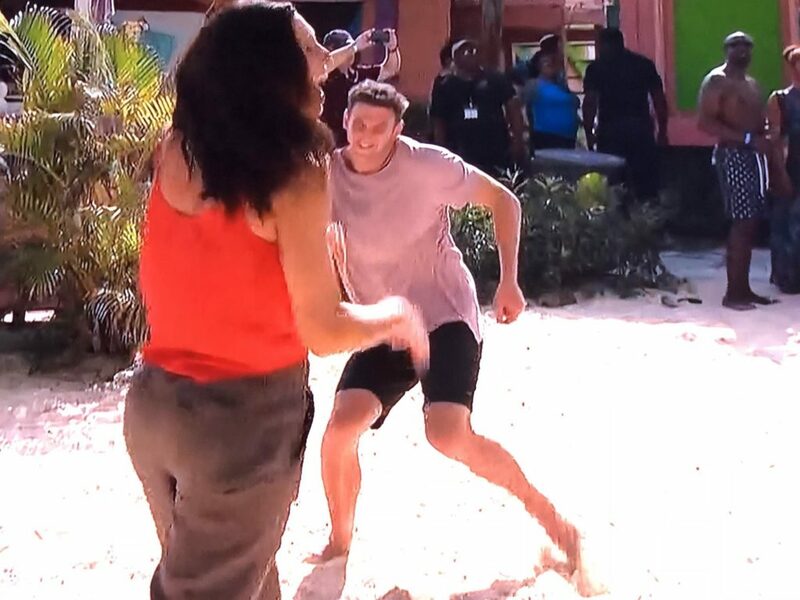 Colton should have been boarding the Tia, not Garrett. The two headed to a private island, and then swung on a swing. WAIT. Swung on a swing or swang on a swing? SWUNG. It’s definitely swung. Right? Whatever. I did appreciate this faded double shot, like they were the couple in a music video for a 90’s power ballad. Well done. During a deep talk, Garrett told Becca that he never gets down or discouraged. That’s obviously weird. I feel like Becca needs to dig a little deeper here because everybody has trying times. He then said something reallllllllllly cheesy about him not being perfect, and her not being perfect, but how they could be perfect together. I felt like he lifted that line straight out of an 80’s romantic comedy. I mean, Tom Hanks would totally say that to Meg Ryan. At dinner that night he talked about his ex wife and basically blamed all of their problems on her. He used terms like “hot headed” and shared that she was always “screaming and yelling”. But don’t worry y’all. Based upon what he said earlier, even an emotionally abusive wife can’t bring this guy down. It’s all sunshine and lollipops in Garrett’s world. Blake got the 1:1 date card, and it’s a good thing he did, because he was in the beginning stages of a Crazy Eddie spiral. They headed to a beach party, and the Baha Men were playing. I was like, WHO? And then I was reminded of their song that will no doubt be stuck in my head for the next several days. Who let the dogs out? Who? Who? Who? Who? Who? Who let the dogs out? Well, it’s now like twenty years later, and they’ve got a new song they are ready to share with the world. So, they performed their new song, and Blake “danced”. At first I felt like I needed to look away because Blake’s dancing seemed awkward. Like, Elaine on Seinfeld awkward. But y’all, I have to admit that the dancing grew on me. He was dancing with reckless abandon, and I kind of loved it. During their day date he explained how difficult the last week had been for him. Becca put a knife straight through his heart when she shared that she was beginning to see how it had been hard for Arie because she was starting to understand what it was like to start to fall in love with more than 1 person. I was concerned Blake might stroke out, but he stayed conscious. Good job. During their date that night, Blake knew he had to start trying to close the deal. HE HAD TO BE OPEN AND VULNERABLE. How did he go about doing this? Easy. He threw his mama under the bus. It seems as if his mom had an affair (while still married to his dad) WITH BLAKE’S BASKETBALL COACH/ENGLISH TEACHER. Ouch. Sorry for airing your personal laundry, mom….but your baby needed to solidify his rose! During her 1:1 interview she said, “I feel like my heart just recognizes his.” She went on to say, “Blake and I are on the same page. He just doesn’t know it yet.” The girl has it bad. She rewarded his transparency by pulling him up against the wall and eating his face. Back at the house, Leo must have known he was the next one out. Nothing else could explain his updo. NOTHING. The three guys hopped on a little boat and headed to see their girl. They played a little beach volleyball and then each had some 1:1 time. Wills explained that his parents have been married for almost almost 50 years, so she should clearly pick him so they too could be married a really long time. Jason said that he sees a happy future with her. Leo explained that he totally digs her, but he’s not necessarily ready to get engaged in two weeks. That’s too bad, Leo. Grab your scrunchies and get on outta here. Actually, I was sad to see the guy go. Obviously a super nice dude who will make somebody very happy. That night, Becca had some more time with both Jason and Wills and she was hoping that she would just know who the next person would be to go. Who would she be keeping around? 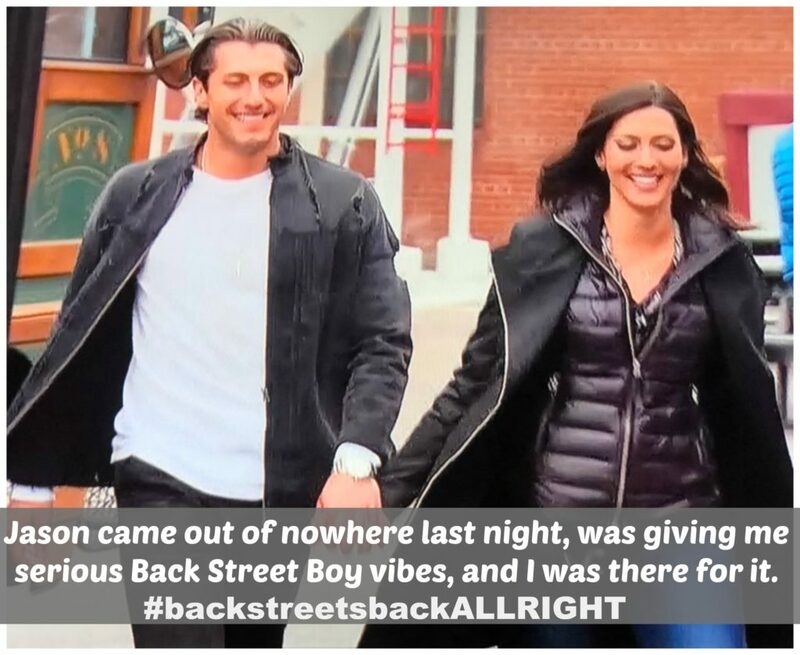 The Back Street Boy with a love of hair product? Or the man confident enough to rock floral pantsuits and cheetah rompers? She decided to stick with the Dippity Do. 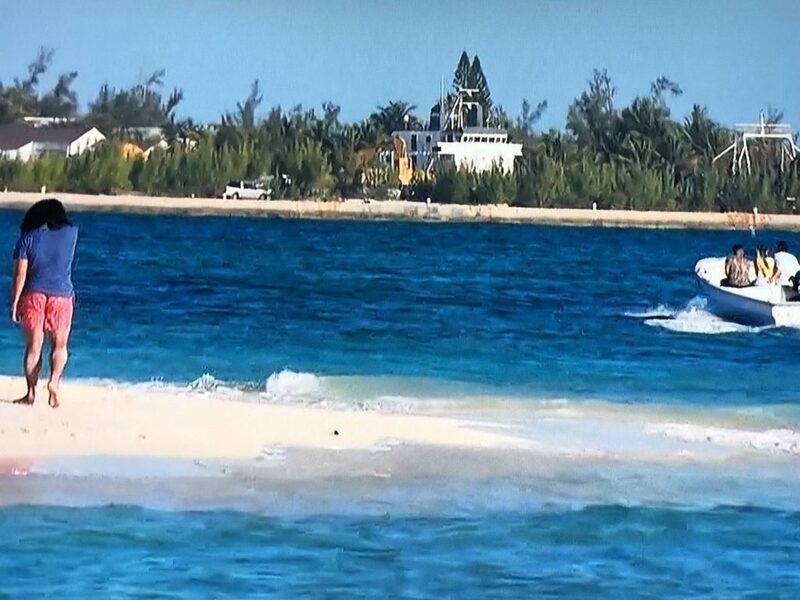 And that about wraps up The Bachelorette Episode 7. So who remains? Colton, Jason, Garrett, and Blake. I’m positively GIDDY about hometowns, y’all. Let’s keep our fingers crossed for all sorts of weird family dynamics and dysfunction! In closing, please think of me today as I’m at Nordstrom SHOPPING MY FACE OFF. I seriously plan on being there most of the day, scoping out all of the best deals for us and trying everything on! I can’t wait to share it all with you tomorrow morning (post will be live by 5:00 a.m.)! Be sure you are following me on facebook and instagram as well! And you definitely want to make sure you are subscribed to my posts HERE! My posts go live at 5:00 a.m., but they are e-mailed out at 6:00 a.m. So if you don’t want to wait until 6:00, just hop over on your own! Some sale items before you go. Just click on what you are interested in!!! Also, Colleen Rothschild has some of her PROBLEM SOLVERS on sale! Click HERE if you want to see my Colleen Rothschild Told Me To post and/or check out the highlight reels on my insastories under SKINCARE where I show some of my favorites. See everybody back here early tomorrow morning! I promise that I’m going to do all of the heavy lifting while shopping the sale, I’m just going to take you along for the ride. Your part is going to be SO EASY! And afterwards? You’ll be DARLING. Let’s do this! 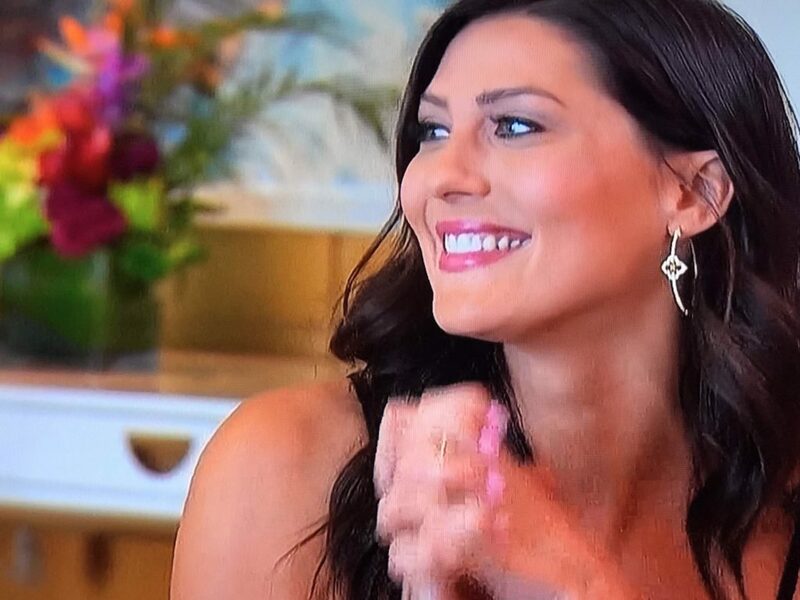 The Bachelorette Episode 5: Vegas, Baby! 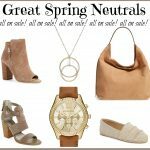 TEN Nordstrom Anniversary Sale Questions, ANSWERED! I can hardly wait for your Anniversary Sale picks. Tomorrow is my birthday AND the start of the big sale, so naturally 😉 I’m spending part of my day at Nordies!!!!! Any chance you can give us sneak peeks on Instagram Stories today? I’m going to try to, Lindsay!!!!! SO EXCITED!!!! xoxo, Sheaffer p.s. Happy Birthday!!! Oh my gosh!!! And “eat her face off” made me LOL!!! Eek!! I can’t wait to see your faves tomorrow!! So fun!! 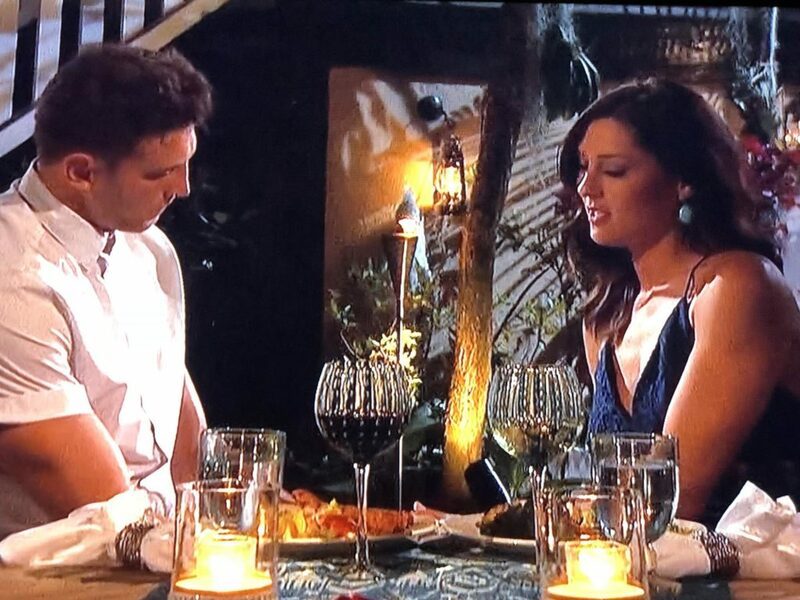 With the 1:1 with Colton, Becca tweeted that she got up to use the restroom, she wasn’t getting up because of what he said about being a virgin 🙂 Poor (or methodical) editing on their part. I knew she wasn’t getting up because of what he said. I figured the producers called her over. Their editing is too much sometimes. I like the final 4. She has a solid group to choose from. And I hope your right about when she left the table right after Colton shared some personal info that He should be very proud of. I was shaking my head when Becca walked off. Oh Sheaffer! 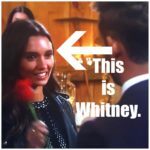 You are the BEST at the Bachelor/ette recaps! I love, love, love reading them! I have no idea how you come up with your cute/funny/quirky comments, but I love them! Also, I just got a Nordstrom card and am so excited to shop early! Thanks for being you and sharing with us! 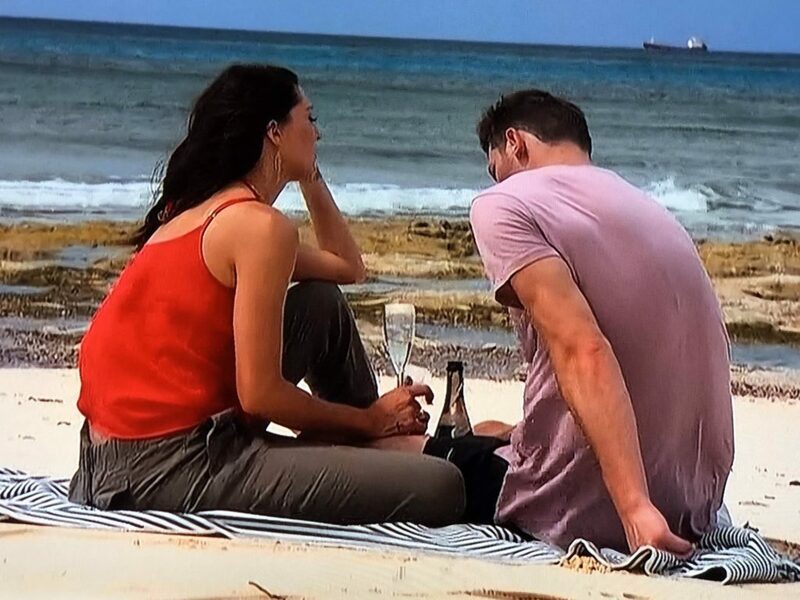 I thought Becca was a little rude to Colton’s confession…but like you said I’m sure it was a little scripted to make it more dramatic! So excited for the anniversary sale…can’t wait to see what you’ve picked out for us ladies!!! I love this recap (well, actually all of your recaps!) I am totally Team Jason but I feel like she’s got it bad for Garrett and Blake. Also? 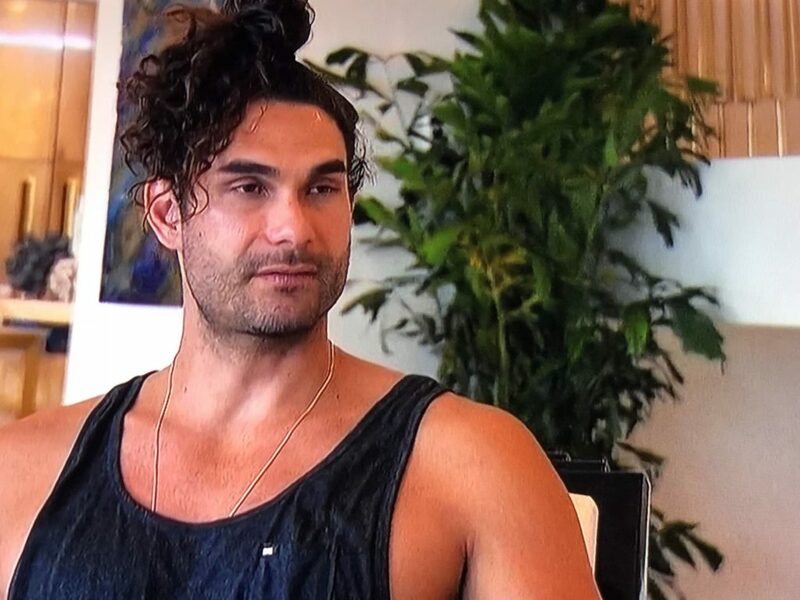 I think they need to make the next season of The Bachelor a makeover show……chop Leo’s locks and let’s find him a lady! I ADORE all your recaps and can’t wait for the sale! Can you help me find the amazing red throw pillows? LOVED THEM! That whole room was AMAZING! I love, love your bachelor posts. I haven’t watched the show in several seasons, but I love keeping up with what you write. I’m beyond pumped for tomorrow! Setting my alarm to read your post early! 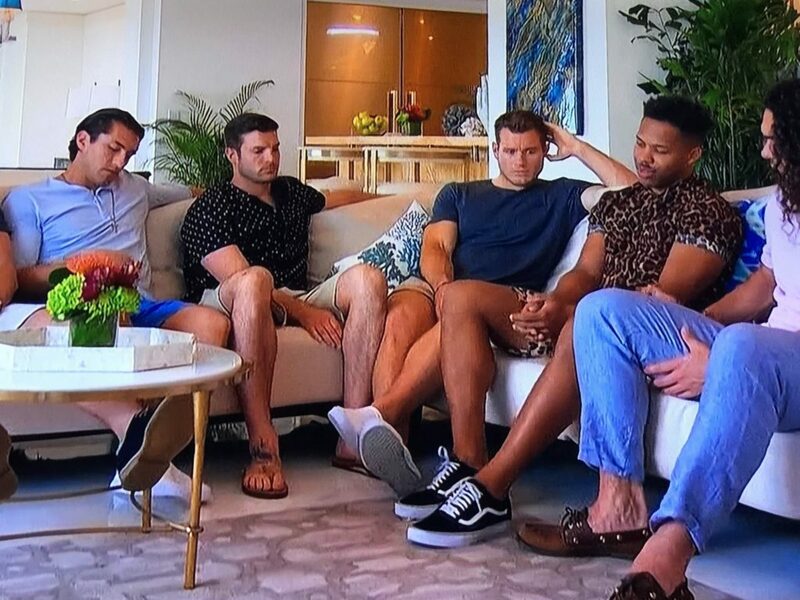 Part of me is sad to see these recaps start to come to an end…but the other part of me cannot wait to see your recap of The Men Tell All. Those are some of my FAVORITE posts! Call me old fashioned, but I was appalled at the fact that Colton’s virginity was treated as a negative aspect on the show. I believe it is a huge virtue and admire him for it! The Pres interrupted part of my show, thank goodness for your updates as I missed the end as my DVR is not smart enough to extend when the show is interrupted due to weather or Pres…. Ok Kids!!!! Everyone needs to watch the tv series “Unreal” along with watching “The Bachelorette to put everything in perspective! Sheaffer so enjoy your recaps and yes, Laughing Out Loud! I was also surprised/bugged about Colton’s virginity being such a big deal. In my book, that news would be a good thing and also reassure me that his previous relationship with Tia was, in fact, just kissing. Can’t wait for hometowns! 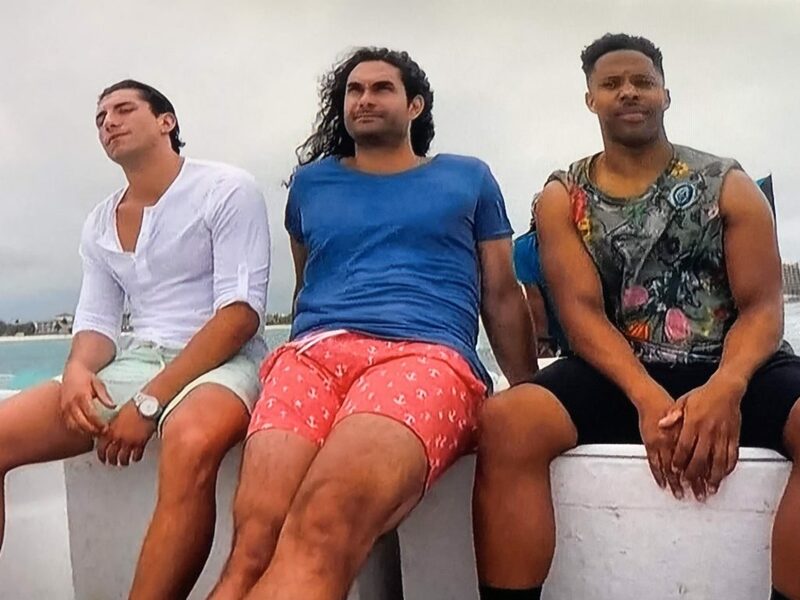 I haven’t been watching “the most dramatic” Bachelorette this season, but I will set my DVR to record next week’s episode for sure because Garret, a.k.a. Captain Sunshine, is from my town. I’m curious how the producers will spin our little part of Cali. I love your blog, and especially love the Bachelor/Bachelorette recaps. I was disappointed to see that you called that man’s tank top a “wife beater.” I know it’s a slang term that some people still use, but for a woman who’s been through an abusive relationship, it’s disheartening to see those words used to describe a shirt. I know it may not have meant anything to you, but it would mean a lot to me (and hopefully to others who may have had the same reaction that I did) if you would consider not using that phrase in the future. Thank you for reading! Thank you so much for your quick response and understanding. I truly appreciate your willingness to change that wording. It means more than you know! My fave is and always will be when you use #nosir in your recaps….never fails to make me giggle!